Seems like my mojo has mainly been working on other things than blogging recently. Here’s a little catch up of some recently published things that might be of interest. What makes us think we can have sustainable culture by requiring artists and much of the workforce to subsidise activity? You can contribute to Arts Council’s thinking here: https://aceconversation2018.ning.com. Yeah, I know, who knew nings were still thing? As an associate of EW Group, I helped research and write Making A Shift http://www.artscouncil.org.uk/publication/making-a-shift a major (IMHO… potentially… if people act on it…) report on disabled people and the Arts and Cultural Sector Workforce in England. It was a chastening picture to research, and I heard some stories and statistics that shocked me. You might say I should have been expecting to hear shocking stories of inaccessible workplaces and unyielding bosses and work practices, especially as I’m well aware of the effect on many disabled people of recent government policies, but I was not. There are some great things going on to improve the current lack of representation, especially, for once, for artists, but it is unevenly distributed. This is, it should be noted, a classic example of how stopping workplaces disabling talented, committed people would make them better for everyone. The issues identified in this report are deep- rooted and systemic, and therefore require long-term focus to change. However, there are some actions with the potential to lead to improvements quickly. Given the clear picture we found of exclusion, our findings suggest people can and should act now. This may feel difficult to some, but if not now, then when? Over the last year I have been lucky to work with Future Arts Centres, as ‘External Moderator’ on their Esmee Fairbairn Foundation-funded learning and development project. In this blog, which accompanies the publication of their annual report, I consider the group as an example of leadership ‘inside, outside and beyond’, the framework I developed in last year’s provocation for Bluecoat. A network such as Future Arts Centre can, it seems, operate as a kind of sensor. Each ‘measurement’ asks questions about accountability, about context and framing, about change, and how to respond individually and collectively. 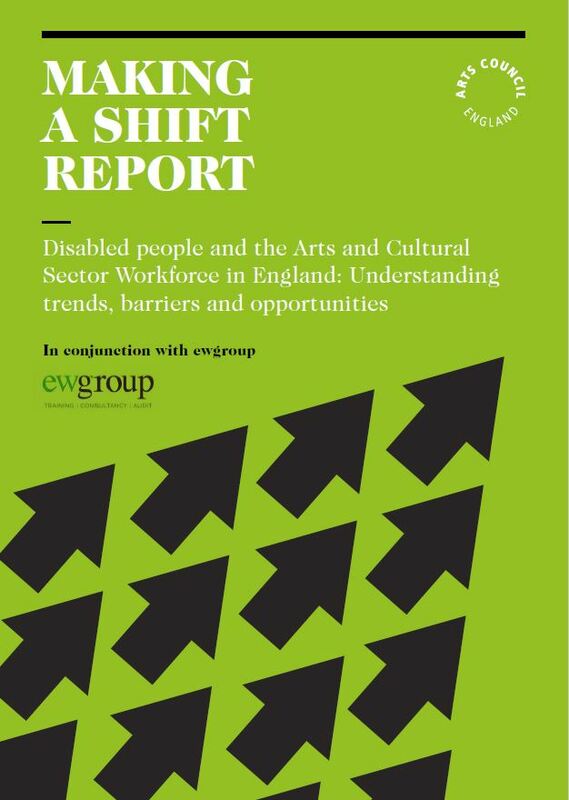 So, for instance, the Future Arts Centre Annual Survey suggests 63% of turnover is generated from earned income and fundraising activity even though the average ticket price in arts centres is just £9, compared to a national average of £23.53. Exploring the implications of that stat requires leadership drawing on all four of the capacities in the Inside, Outside, Beyond framework.